A few months ago, I remember seeing something about a new cigar company called Fable Cigars. I run across plenty of new cigar companies in various stages, but this one stuck out to me for one reason: the cigars were being made at Fabrica de Tabacos NicaSueño S.A., the factory behind RoMa Craft Tobac’s products. Fable is owned by Sean Kremenetski and Mitul Shah. The latter is noted for owning four stores in New York state, oddly all named differently. As for the company’s first release, Fourth Prime, it reminds me a lot of RoMa Craft’s early start. 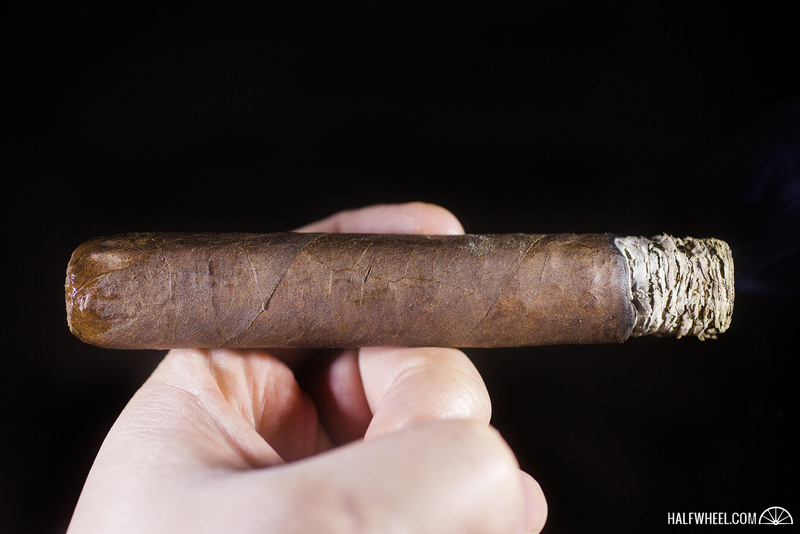 The name itself is numerical based, but it reminds me a bit of “primates” and the cigars were sold exclusively in four-pack samplers, very similar to how RoMa Craft launched CroMagnon five years ago. Blend-wise, it uses a Pennsylvania broadleaf wrapper, Ecuadorian habano ligero binder and fillers from the Dominican Republic and Nicaragua. The cigars are sold in 56-count boxes, which also reminds me of RoMa Craft’s original attempt at selling 35-count boxes, only Fourth Prime will be offered in 7- and 28-count bundles. 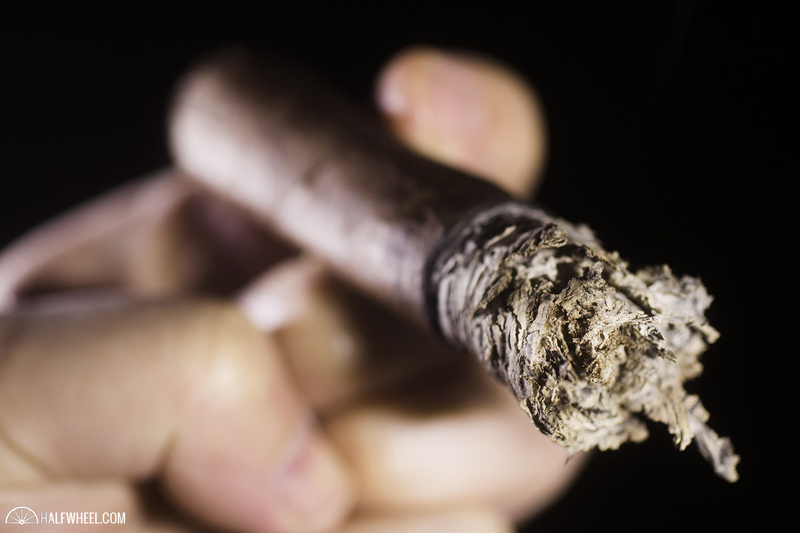 Those cigars are expected to arrive next month through 14 retailers to start. Factory: Fabrica de Tabacos NicaSueño S.A.
It’s an extremely dark wrapper with quite a bit of texture. Even with cellophane there’s not that strong of an aroma, although I get a mild sweet chocolate and a touch of roasted nuts. From the foot I pick up a stronger artificial cocoa that reminds me of a Yoo-hoo, an aggressive aroma with some ammonia that smells like an aging room and some citrus . On one sample, the cap basically comes off once cutting, but the cold draws are pretty consistent between the two samples: sweet chocolate, some floral, citrus, a hoppy character that reminds me of a West Coast IPA and some pralines. Things start with a large bouquet of flavors, there’s leather, chocolate brownies, saltiness, earthiness, sunflower seed and bamboo shoot. It’s medium-plus and there’s not a ton of smoke. A few puffs later, the flavor picks up to medium-full with some earthiness at its core along with a generic wood flavor, creaminess, and a pepper that reduces as I smoke quicker. But the retrohales are where all the Fourth Prime’s action is: earthiness surrounded by some apples, a sweet orange Gatorade-like flavor, white pepper and creaminess. The finish shows more of the apples along with caramel, vanilla, grass and a big cedar flavor. Body is medium-full while strength is medium-plus. Construction is pretty good with a solid burn and typical smoke production that increases if I pick up smoking pace. The Mersenne gets even earthier in the second third with some barnyard joining the fray. There’s pepper on the middle of the tongue and it lasts long into the finish along with some coffee bean, Grissini breadsticks and grass. On the retrohale, I find a smoother barnyard flavor, leather, dark chocolate and a whiskey-like oak. It’s definitely grittier than the first third and also lacks the various sweeter flavors I found earlier. The strength picks up to medium-full and the flavor is now full. Construction is quite similar to the earlier portion of the cigar, good. Sweetness definitely makes a comeback in the final third, albeit I can’t point to any specific flavor. Leather, a milder barnyard, dark chocolate and a bitter fruity flavor have now taken over the core. Through the nose, the Fable begins to see creaminess become a dominant force and there’s some citrus developing, although it’s quite similar to the middle portion. I do need to touch up both samples in the final third before they go out, but otherwise construction remains where it was. Of note, the strength definitely peaks somewhere in the second third and I find it to be medium-plus by the end of the cigar. The name fourth prime refers to the number seven. For those asking why seven is not the fifth prime, the rules for a prime number says it must be a number greater than one that is only divisible by itself or one. Earlier this year a new largest prime number was discovered, it has 22,338,618 digits. Mersenne is named after Marin Mersenne, a French priest who is noted for his work in music and math. There’s something known as Mersenne prime, which is a prime number that is a number one less than a power of two. For example, 3 is a Mersenne prime because 22 = 4-1 = 3, which is a prime number. Another Mersenne prime is 127: 27= 128-1 = 127. Thus concludes halfwheel’s math lesson for the day. Popsiech Inc., the same company that distributes Chogüí and Powstanie, will distribute Fable. There will be 14 retailers that will sell the cigars next month, the company says it is planning on having one exclusive online store, interestingly—not their own store—and around 30 accounts by the 2016 IPCPR Convention & Trade Show in July. 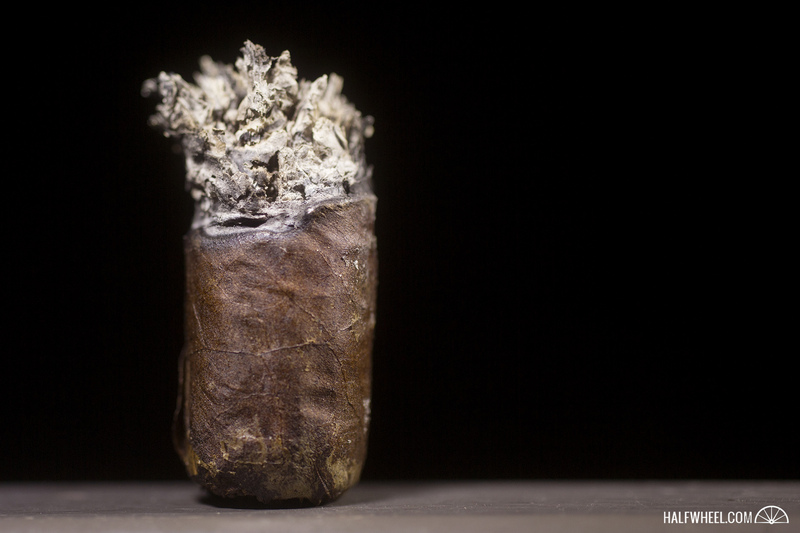 For whatever its worth, the Fable says they will make 56,000 cigars this year. They sold 500 samplers of four cigars earlier this year. I’ve smoked all four sizes and I like the Mersenne and Mi Mi (corona gorda) vitolas a lot more than the other two. I would say strength is medium-full, even though half the cigar is more medium-plus. Construction was pretty good sans the touch-ups in the final third. Cigars for this review were provided by Fable Cigars. 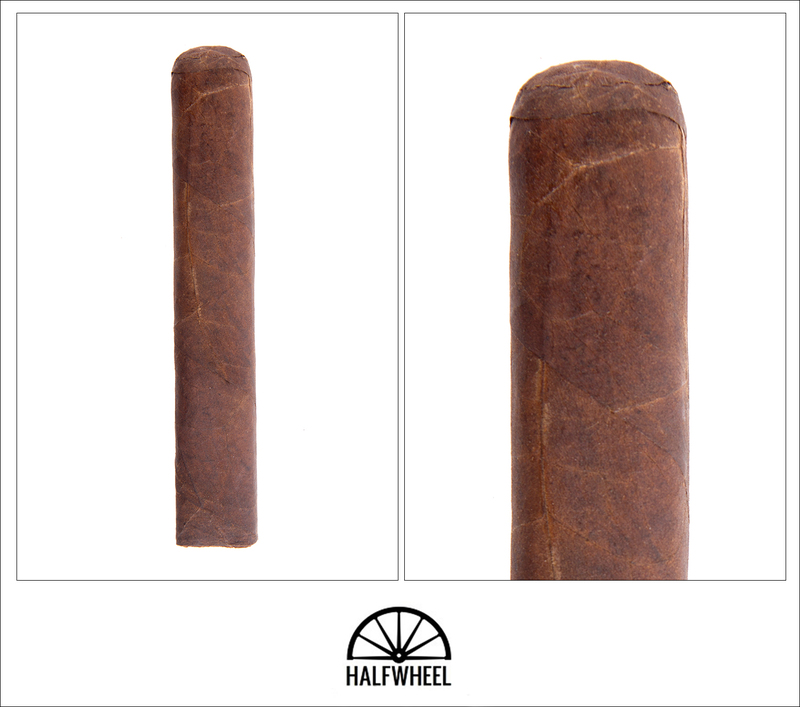 Cigar Hustler, which is owned by the same people who own Popsiech Inc., advertise on halfwheel. Final smoking time was two hours. The cigars are currently sold out, but will go on sale in other locations next month. Update (March 11, 2016) — Shortly after this review was published, the company announced it would be partnering with Pospiech Inc. for distribution, raising prices and had slightly increased the amount of initial stores that were planned.